Thinking and Drinking. We just love it and we just love our host, David Gilchrist. Not only does he come up with the most entertaining questions he throws in those random bits of info that make you pause to take it in. 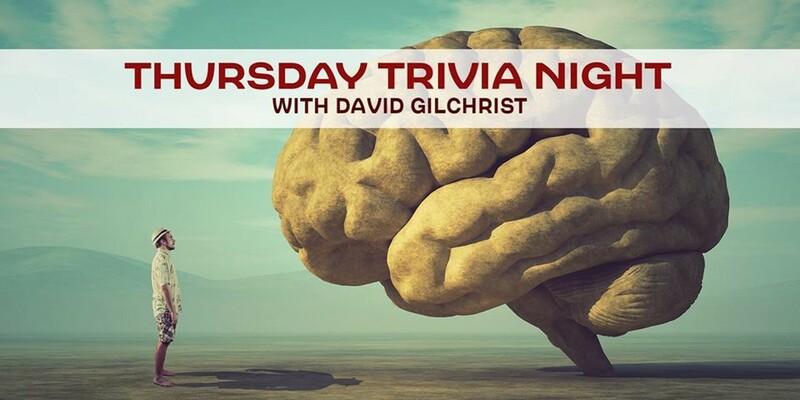 Trivia Night happens every 2nd and 4th Thursday of the month from 6-8PM. There are four rounds of 10 questions each. We play on the honor system and at the end of each round, Dave will give you the answer. Now tell us, how much does Chewbacca costume weigh?